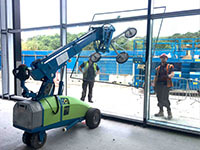 Current UK weather conditions have led to an urgent warning from Hird Group on the use of vacuum lifters. Vacuum lifters should not be operated in temperatures below zero degrees Celsius or when it is snowing. 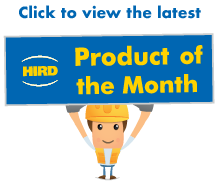 Hird Director John Wilding said: “Vacuum lifting is a proven and very safe process, as long as operating instructions are followed correctly. When temperatures drop and wind speeds rise, we advise significant caution. “Due to the severe weather conditions we are experiencing in the UK, including snow, freezing fog and heavy frosts, we are reminding customers that vacuum lifters should not be used when the air temperature is below zero degrees Celsius. “This is because in very cold temperatures, the suction performance of vacuum lifters can be reduced. In freezing temperatures, there is a risk that vacuum pumps and batteries on vacuum lifters will not work as effectively. Also, if there is moisture in the system when it freezes, fittings can be cracked, causing air leaks that can reduce vacuum pressure. Vacuum lifters should not be used in high winds. Operators are advised to use extreme caution and monitor air temperature and wind speeds. 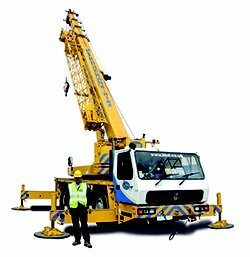 The maximum wind speed for vacuum lifters is 18mph and 22mph for wind-rated mini cranes depending on the make and model. 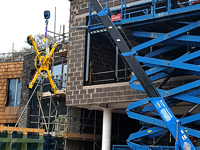 It is essential to carry out daily checks before lifting and for operators to familiarise themselves with machine specifications. 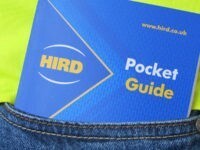 If there is any doubt, customers are advised to consult the vacuum lifter operating and safety guide provided by Hird at the time of hire, or available on the Hird website. Or they can contact the Hird lifting team for guidance. If you have any concerns about working in adverse weather conditions, you can call the Hird lifting team on 0203 174 0658.